At Benson Environmental Services in Sibley, LA, scrap tires are our business! When you need to get rid of your scrap tires responsibly, give us a call! We offer regular routed collection service and we offer drop van collection. This service is where we place a drop van at your place of business. Your employees load the tires on to our van, and when it’s full, you give us a call or send us an email. We’ll come and swap out the van with an empty one and return the full load to our tire recycling facility! 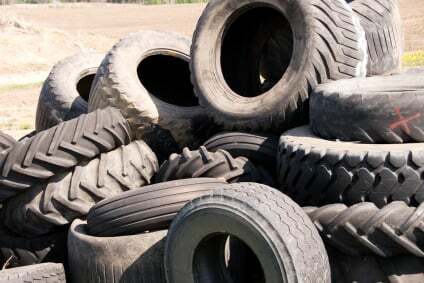 Give us a call to make the environmentally responsible choice for your scrap tires, or use our email form to inquire about our tire recycling services. Copyright © Benson Environmental Services, 2015. All rights reserved.